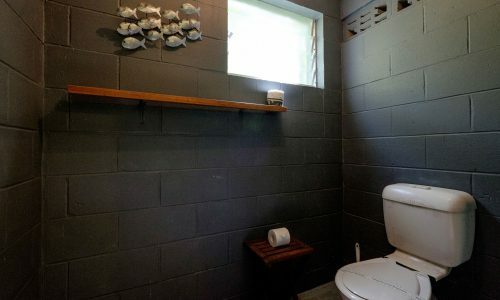 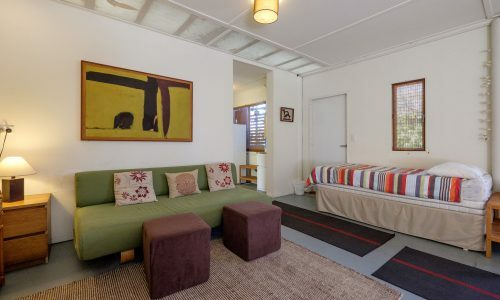 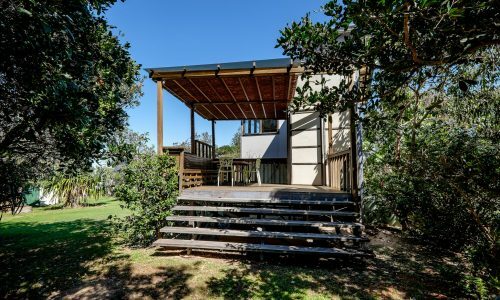 Original Straddie beach shack with contemporary add on! 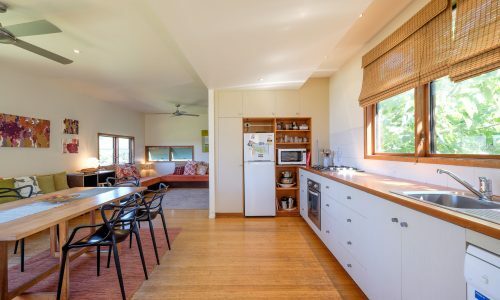 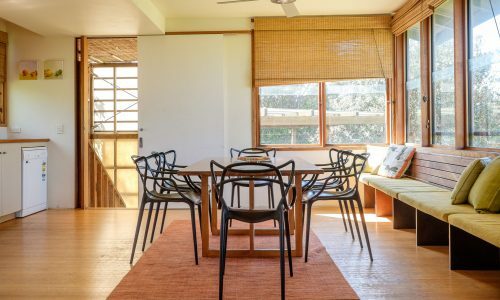 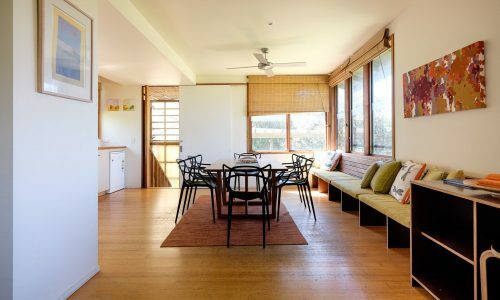 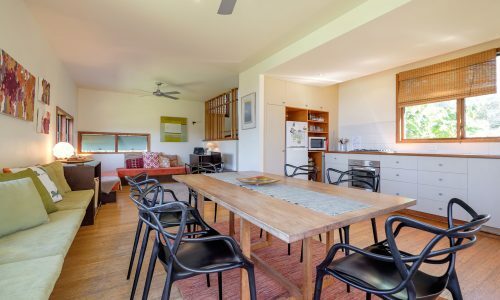 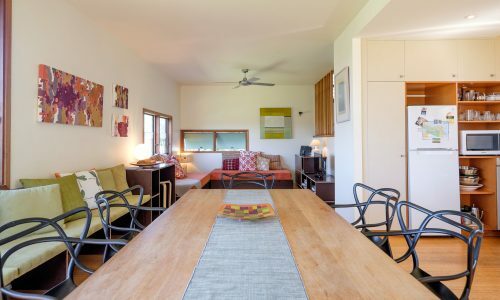 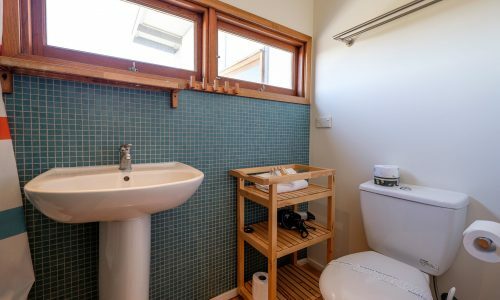 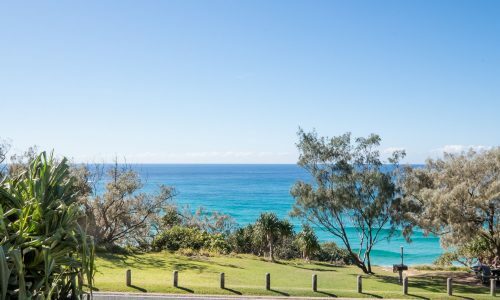 One of Straddie’s last original beach shacks, lovingly renovated by a local architect, Eddies Place is in the heart of Point Lookout and boasts a relaxing and casual beach house feel. 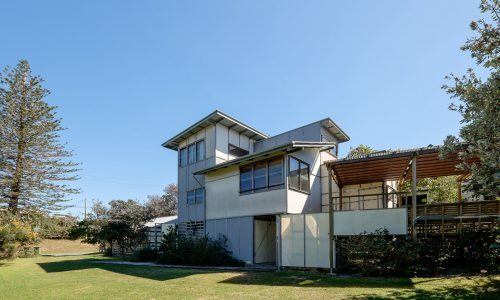 With a new house connected to the existing one via a translucent polycarbonate and timber stairwell. 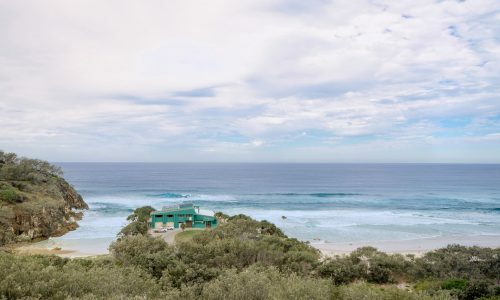 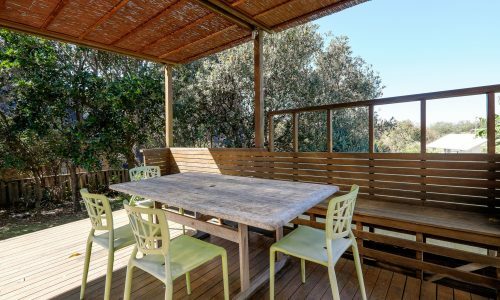 The house, made from fibro, cement and timber, is spread over three levels and boasts an open plan kitchen, living and dining area to enjoy views of sand dunes and ocean from the comfort of your very own beach house. 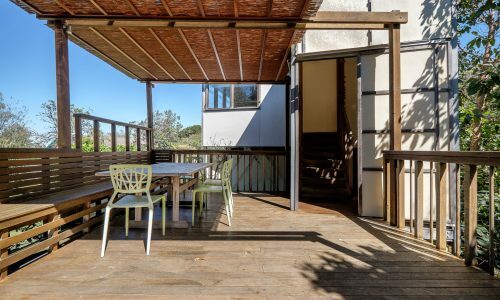 With two stunning day beds for afternoon siestas in the living areas and a sunny deck on the bottom level, this property is ideal for large groups or even two families together. 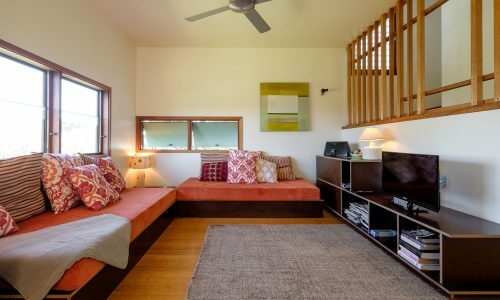 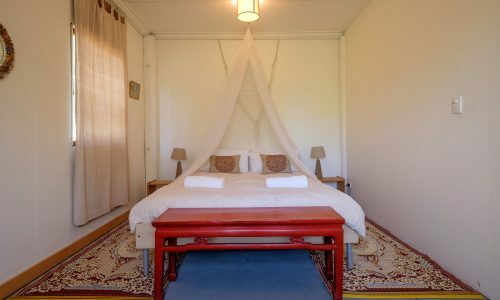 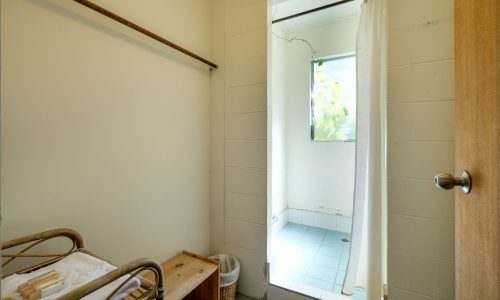 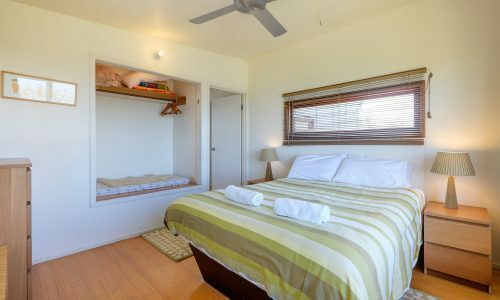 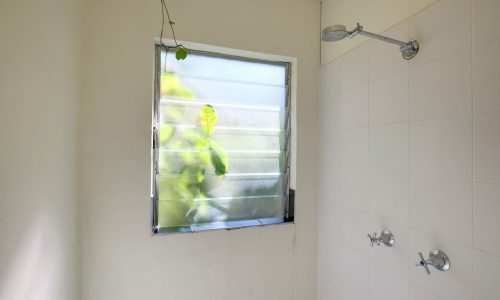 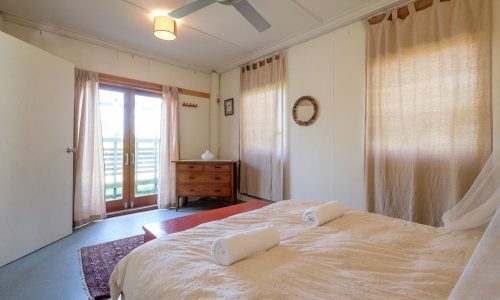 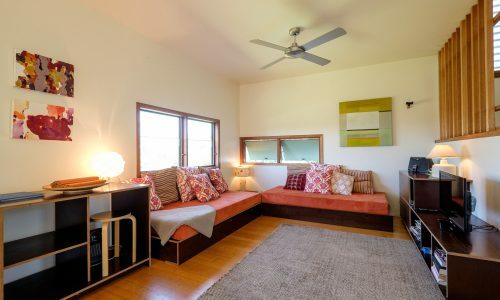 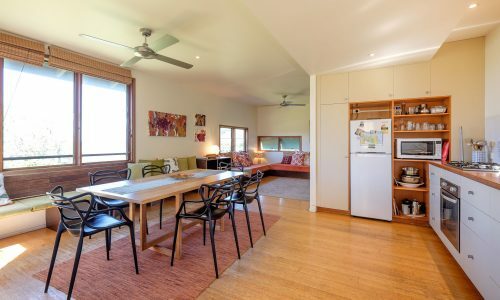 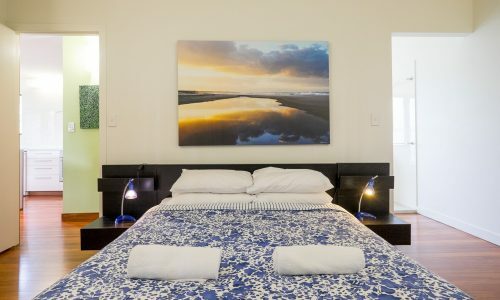 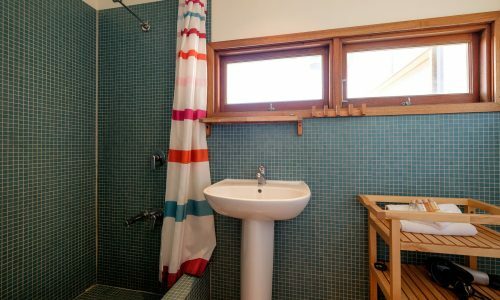 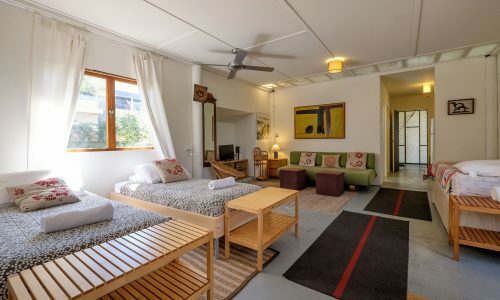 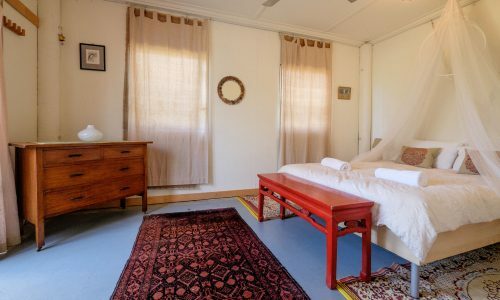 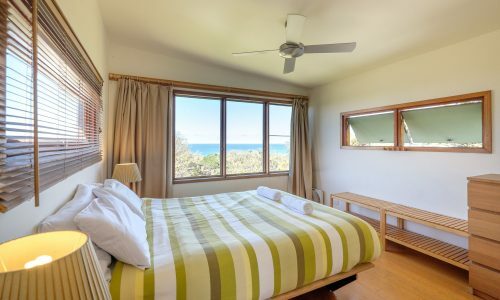 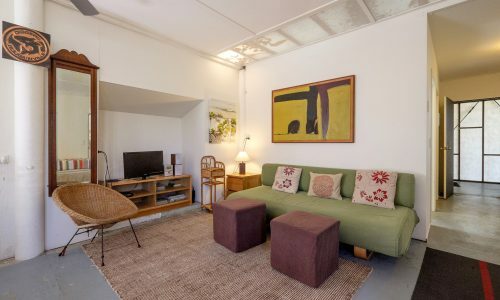 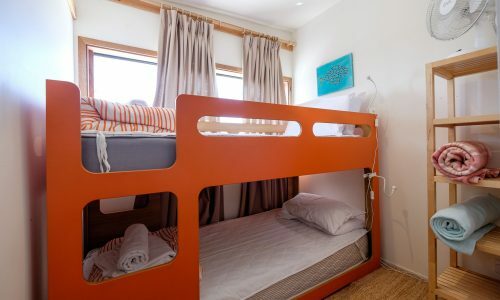 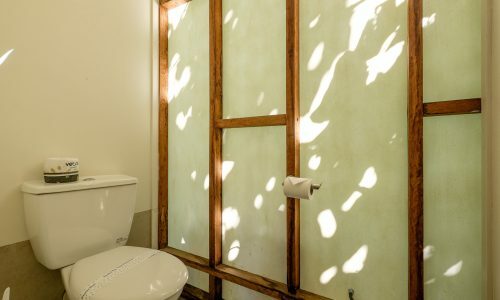 With the old, renovated shack now boasting a queen bed and two singles with an optional trundle bed and, just a short walk to local beaches, shops and restaurants; Eddies place is the ultimate beach shack accommodation on Straddie! 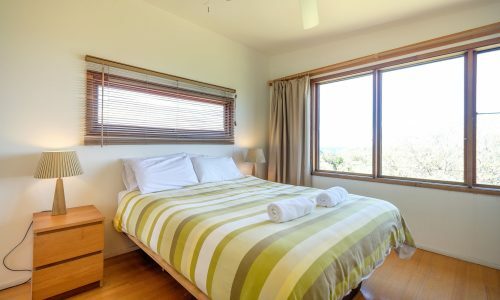 NOTE: Bookings at Eddie’s Place include a $50 cafe voucher for fish and chips, and our premium linen and amenities pack, with beds made ready for you to enjoy your stay.